Recovery from a Tummy Tuck has to balance two things: the need to get your body going as quickly as possible, versus the need to keep things quiet until your body has had a chance to heal well. So what is the recovery time for tummy tuck? In the past, patients were told to stay very still for a long time following Abdominoplasty, but that created its own set of problems such as blood clots in the legs, or problems with the lungs. Nowadays patients are encouraged to get moving soon, but that can also have its own set of problems such as wound separations, infections, or fluid collections. Like most things in life, the best answer is found somewhere in the middle. Here is how we advise our own abdominoplasty post op patients who have undergone surgery in our Baltimore surgery center. We hope you find it helpful as you contemplate whether a tummy tuck might be right for you. Following Abdominoplasty surgery, you should be in bed with the head of the bed elevated and multiple pillows under your (slightly bent) knees. This is important because keeping your torso elevated helps expand your lungs, decreasing the likelihood of lung problems. This position also relaxes the skin on your belly, which was stretched at the time of closure. With the relaxed skin you have less tension on the wound, so less wound problems and better blood supply for healing. During these first five days you should not be walking around. Walking should be goal-driven only–such as to the bathroom or to the refrigerator. Too much motion can cause the skin layer to slide against the muscle layer so the two tissues cannot knit together. This results in either fluid collections (seroma) or blood collection (hematoma). Drains can helkp prevent this, but if you move too much fluid will accumulate despite the drains. You can resume a normal diet as tolerated, but be sure to drink LOTS of fluids, especially in the first 72 hours following surgery. Fluids should not be diet sodas, but rather fluids such as juices or gatorade. We have our patients wear a compression garment to diminish swelling and prevent fluid accumulations. It is extremely important that you do NOT take off the compression garment during the first five days post op! It not only helps you heal faster, it also influences your final surgical result! The compression garment extends at least to mid thigh and has suspenders to prevent folding or displacement of the garment while you are resting. You should wear the garment 24/7 during this initial post op period. The garment should NOT be removed during the first 5 days. The pain pump is optional, but it is highly recommended and most patients do opt for it. It is inserted at the end of the procedure while you’re still in the Operating Room. It will dispense local anesthetic to the incision area and will provide pain relief. Most patients are able to stand upright much sooner IF they have the pain pump! Learn more about how the pain pump reduces pain from cosmetic surgery in my video journal. All tummy tucks surgery patients will have drains put in to collect fluid. Without the drains, the fluid would stay in the wound area and create problems! The drain bulb should be emptied when full and the amount of fluid should be recorded each time you empty it. This process is repeated until the drain is removed in my office. The pain pump is often removed at the same time as the drains. Get up to go to the bathroom as often as necessary, but always be accompanied by someone who can provide support. You will need the help! You should be able to use the bathroom without removing the compression garment. During the first five days, do NOT take a shower. Without removing the compression garment, you may sponge bathe your arms, legs, and face. However, you should not be getting the garment wet and you must not remove the garment. Following surgery, it is normal to have pain and discomfort. If you have pain, don’t be afraid to take pain medication. Pain meds help you to get rest, to breathe better, and to get up as needed with less discomfort. It is absolutely fine to have a pain pump *and* still take the pain meds. Doing both is not too much! The pain pump is only a local anesthetic, so it works very differently than the pain pills, which are a narcotic. When both the pain pump and pain meds are used together during this initial period, they can really speed up your recovery! On the 5th day post op, I usually see my tummy tuck patients in my office. Most patients have their drains and the pain pump removed at this time. With all of the tubes and drains removed, you are feeling more mobile. During this initial post op visit the compression garment is also removed and you’re given a new, clean garment. We then determine the plan of action for yout o follow during the next week of post op. After this post op office visit, you can shower or bathe. However, the new garment should be put back on immediately to prevent swelling and fluid accumulations. After the sixth day following your surgery, the muscle layer is beginning to knit against the skin layer, but things are not quite set. But now I want the patient to start moving around. I recommend getting up and walking around the room at least 3 times a day. The purpose is to get your muscles moving again, expand your lungs more, and prevent blood clots in the calves. But remember, don’t over do it because you could still cause the muscle layer to slide against the skin layer and separate, causing a hematoma or seroma. That is why we recommend that you keep wearing the compression garment at all times (24/7) during the second week. At this point, it is also still important to keep the skin layer relaxed, so keep the head of the bed elevated and your knees bent while resting in bed. When walking, stay a little bent over. Do not try to stand up straight yet, as this will pull on the wound. During this second week post op, you may still need help getting the compression garment on and off, so it is a good idea to have family and friends nearby. When you go into the shower, use cool water. Don’t take a warm shower at first because when you remove the garment, the blood vessels relax, and the warm water makes them relax even more. If they get relaxed enough, blood can flow away from your veins to your lower body and you may faint. So be sure to use cool (not cold) water. As far as pain medications, I usually recommend at this time to start tapering the dose. There are several reasons. First, pain can be a feedback mechanism for your body to tell you if you are doing too much. And second, sometimes patients feel too good with pain medications and tend to do too much. Finally, pain pills can make you very constipated, and straining at stool can harm the muscle repair. At this point we begin the recovery phase. Start by going around the house, but refrain from doing much outside activity. You are now beginning to get a feel for your activity level and how much you can tolerate. Let your body guide you. If you can stand completely straight, it’s great, but don’t push it! Don’t overdo the walking and do not lift anything heavier than a gallon of milk. You should still not be driving at all. At week three, you are no longer required to wear the compression garment 24/7, but you must still wear it at least half of the time. You can take the garment off at night, but if you don’t feel totally comfortable, keep it on. Most patients do keep it on the whole month, stating it makes them feel more secure. This is your body telling you things are still a little tight or there is still swelling. Listen to your body and don’t push it. You can now venture out the house, but it is still not time to go shopping at the mall or go on prolonged trips! Many patients do go back to work, provided that there are no physical demands. Start trying to stretch, gently. Don’t try to lift anything over 5 pounds. You should still not wear any tight garments other than the compression garment. Even though you are in pretty good shape, it is till not a good idea to drive. During the fourth week post op, sudden turns or slamming on the brakes can still damage your muscle repair. At this point you may feel a hardness along your wound. Don’t panic, it’s called a healing ridge, and it’s the collagen your body lays down to knit the wound together. It will disappear over the next few weeks. You are still swollen here and there and some areas are numb. This will all get better. At week 5, you can now start to resume normal activities! I should see you sometime during this week for the one month follow up appointment. You may still have some swelling, but your new body profile should be obvious. Start enjoying it! In summary, if you’re considering a Tummy Tuck, you should plan for 3 weeks off of work, with no driving during that initial recovery period. Every body is unique and it’s my hope that this detailed explanation of the first five weeks following abdominoplasty helps you be prepared for your own tummy tuck recovery time. Wondering if a tummy tuck is right for you? Contact Us to schedule a complimentary in-office consultation or consider a virtual consultation for just $75 (which gets applied to your surgery when you book). Or just give us a call at +1-410-494-8100! Note: Virtual consults can also be used to get second opinions. Wow! Thank you ever so much for the very good information. If you were my patient I would say yes. But that depends a lot of what technique the surgeon uses and how you heal. Everything depends on getting a solid healed muscle repair. I use permanent sutures for this, so I feel confident at 4 weeks, provided you have no other complications during healing. The overwhelming majority of my patients are back at work at 4 weeks. Contact Leeza@ cosmeticsurg.net for more info! You need to be asking your surgeon these questions. He knows how he did the procedure and what to expect. If he does not give you a satisfactory answer go to another surgeon in your vicinity who can examine you in person. My question is, after the tummy tuck, how long does it take for the belly button and incision site heal? Should there still be pain or the feeling of irritation? You need to go see your Plastic surgeon. It is impossible to give an opinion about what is happening without examining you in person. dr. Rodriguez I had tummy tuck with muscle repair lipo on my flanks lower back and upper abdominal. I started my work after 4 week. yesterday was my first day on my work. I am Psych RN working 8 hours shift. but at the middle of the shift I was swollen like balloon and pinching sensation all around my stomach. I was not able to pee by 8pm. I am continue wearing my compression. I have to drink caffeinated drink to make me use bathroom. after using bathroom I did feel little better. is anythink I can use to make swilling better. How are you coming along now? If he uses a general anesthesia he is being prudent and safe. I would take his advice. We do not need to because we use IV sedation which is much more easily tolerated and the post operative period is much safer. I am having a tummy tuck. My doctor suggested that I rent a medical bed and hire a 24hr nurse for the first 24hrs. Is this good advice or is he just adding unnecessary costs to his bill. Any advice is much appreciated! Sorry I missed your post. I am sure by now the issues have been resolved! This is my third day after the surgery. But I haven’t had bowel movement, is it save to use fleet enema? Yes, you can have a Tummy Tuck. Can an insulin dependent diabetic x 31 years have a tummy tuck? I’ve had two c-sections and hysterectomy and have had no healing issues at all. I am a 52 year old and am tired of having the lower fat roll and want it taken care of. I do not understand what your question is. Could you please explain fully what you mean? Please I’m planning to do an abdominoplasty but I m afraid my body changed after the surgery. Sorry for the delay in responding but this blog is more for dissemination of medical information. For questions about surgery you ALREADY have had, the best source is always your surgeon because he knows exactly what was done. Sometimes,trapped nerves in scar tissue can cause the type of pain you are describing. 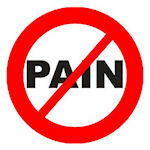 If you are still having pain it may be worth it consulting with a Physical Medicine and Rehabilitation specialist. They may be able to do nerve blocks or come up with a plan. I am 5 weeks post TT (no lipo). Unfortunately, the right side of the incision is constantly hurting…feels like an open wound and by the end of the day, I am limping around the house. Saw my PS 5 days ago and he is happy with the wound but can’t explain my pain. He suggested that perhaps the binder is gathering on the wound when I sit. I have since cut a hole in the binder to try and relieve the pain in the affected area, but have had no success. I have been so optimistic up until then and now I’m getting so down with the pain, not knowing what is causing the pain, and having such difficulty with walking. My left side feels great – no issues whatsoever. If my right side felt like that, I’d be back at work. It depends on wether there was muscle work or not. If there was muscle work, I would suggest waiting at least 4 weeks before doing weight training, starting light at first with low weight and progressing as tolerated. Wait at least 6-8 weeks before going hard. How long until you can resume exercise (weight training)? That can happen sometimes as the scarring process sets in. Massage the area twice daily, that should help. You should also have your surgeon inspect the area to ensure you don’t have a small hernia. Hello I have a question? I did a tummy tuck 7 months ago! And about a month ago I started getting pain like in the inside of my belly buttons is it normal? If you strain too much, yes. But from the sound of what you are describing I don’t think so. I have been taking Colace and Metamucil since before my surgery because I have issues with constipation. I used the pump in the hospital but only one Percocet post op and Extra Strength Acetaminophen since then. Even with that, I’ve had to strain a bit here and there. I’m two week post TT today and still wearing compression binder. A few times it felt like a little popping when I had to strain to move bowels. Can straining have a negative impact on underlying muscle sutures? That can sometimes happen. But you need to be seen by your doctor. I have undergone tummytuck for 4 weeks now and stitches are still oozing. How can they be healed faster? At this point you should be straight. Talk to your surgeon about it. You may also need to do physical therapy. But relax, this will most likely be OK. I heard it takes a full year to fully recover and stand up straight is it true ? Thanks for such an in-depth article! This gives a me a great idea for how I should expect to recover and how life will be following the procedure. What is the price for a tummy tuck and a bbl and do you have payment plans also payment methods. This is something to be discussed with your doctor as he is the one who knows the details of your surgery and how long it takes his patients to recover. Hi, I had a mini tuck (scar made bigger to take away my hip scar)and liposulpting on sides and belly. It has been 7 weeks and I still find it hard to walk sometimes. Sometimes I can walk ok but Fter a while I’m hunched over again I no it feels really tight under my ribs more so on my right side. When do you reckon I can stand and walk fully. It’s driving me crazy. I get many requests for recommendations in the local area of such and such. It is very hard to do so because we only hear from the guys who like to lecture around the country and they may not be the best. Look at places like Real Self and read reviews of the Doctors. As a matter of fact, our clientele is at least 30% from out of town. Look at out pictures and check out our reviews and if you think they are great, you should really consider the trip, many do end up coming here. We could also set up a virtual consultation so you can get info about what to ask for what the different styles are, etc. We do MANY Tummy Tucks with BBL. Our recommendation is for you to sleep on your stomach with pillows underneath with hips slightly bend to relax the abdominal wall. Sleeping in a fetal position is not as great as it sounds because it puts pressure on the lateral hips and I inject there to improve the hips. It also puts pressure on the lateral buttocks, and everybody injects there. I’ll let Kelly at kelly@cosmeticsurg.net know of your interest. Can you have a tummy tuck and B-more or Brazilian Lift done at the same time? Is it wise from a healing standpoint? I know you have to sleep in a semi upright position with the tummy tuck… But I figured if I slept in a fetal position on my side..with my legs on top of pillows so my legs would still be elevated and I’m still curved over…Or slept upright sitting on the baby boppy pillows ( middle is cut out) where my bottom is not touching the mattress…. This is a discussion to be had between you and your doctor. At 3 1/2 months I doubt it is still fluid. As an aside, liposuction or tummy tuck does not get rid of weight permanently. If you still eat more calories than you expend it may still result in weight gain. Thank You So much you put my mind at ease. I had a Tummytuck 8weeks ago what u call a healing ridge in the line off the lower right side on the scar I feel a small round lump have no pain is this normal. 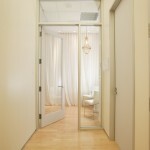 I will have Kelly at kelly@cosmeticsurg.net contact you with pricing and other info. We’ll be happy to see you! I am thinking on getting one but I am trying to read everything on it. how much would one cost ? I need one. I would love to help you, but really these are all questions your surgeon should be answering. He did the surgery and knows all the pertinent details. Remember, internet discussions are great for the preoperative period information gathering but making a diagnosis based on a few sentences in a blog post would be extremely unreliable. Call your surgeon, he’ll be delighted to talk to you! Honestly, I would not remove the mesh. Rather, I would fold it over. I have done that many times. Contact Kelly at kelly@cosmeticsurg.net , she’ll be happy to help you. Is it possible to have a tummy tuck if you’ve had a hernia repair with mesh. I’ve heard it can be complicated to remove the mesh in order to do the tummy tuck? Is that true? There are always ways to sew the muscles together. even when they are too far apart you can use a synthetic mesh material or a biologic dermal allograft to close the gap. Ask your Dr. about those options, if he tells you he can’t do it get a second opinion. They also told me I will be out of work between 4 to 6 weeks and that my muscles can’t be stitched back together as they may come apart again because they’re far apart. Do you may have an idea on what type of surgery I’m going to have? Thanks Dr. I appreciate all the information in your blog as well as my questions. You probably will be having a Rectus Muscle diastasis repair. What that means is that the surgeon will sow together the two “washboard” muscles in the abdominal wall. That way you will get a flatter abdomen and your intestines will not come through. Hi Dr. Rodriguez I’m having surgery on the 23rd of this month. My question is I’m not sure what type of surgery I may be undergoing as I have not had my pre op visit yet. But I have a severe diastasis of the muscles that causes my intestines to bulge out when standing sitting etc. It makes me look 5 months pregnant. Do you have any idea what reconstructive surgery I may be having? It depends on the procedure and how it was done. Ask your surgeon. He may recommend some physical therapy, or he might tell you it’s expected. Hi i had a tummy tuck 4 weeka ago and i still cant stand straight. Its this normal? It is a good thing you contacted your surgeon. The length of time it takes to keep a drain on depends to a very large degree on how the procedure was done. Only your surgeon knows how he did the procedure. Call him again if you need more reassurance of the can give you specific details and instructions. Today is my day 5 of having a sculpture lilo and tummy tuck. I feel great, however i panicked yesterday. I did my surgery in Mexico. I went to a clinic to make sure everything is healing properly and the PA measured the fluid after a few hours and the amount was less than 15 cc so she took it off. Later on the doctor called to checked on me and when i told him the dranage was out he was very concerned. He said that suppose to stay for 2 weeks. I am in bed rest following every advice i read but very concerned for not having tgat drainage tube on. Is is uncommun to get the tube released after 4 1/2 day after surgery? This is really a discussion you should be having with your surgeon. I know nothing about the details of your surgery so would not be able to offer an intelligent piece of advice. This are questions you should really be addressing to your surgeon as he knows the details of his surgery and what the appropriate recovery time is. Tiana: I am sorry I did not see your message until now. You should call your doctor. He will give you the best advice because he knows the type of surgery he did and what may be happening. If the muscles are not separated, there is no need to do muscle work. We call that a “Dermatolipectomy” (taking off skin and fat only). By the way, the muscles may be strong, but if they are separated at the midline, when they relax the muscles will spread apart. If they are not separated, you will not feel a gap between them when you lift both ankles while laying on your back. For understanding more about the muscles. Anyways, many of our patients come from out of town and even fly in. Contact Kelly at kelly@cosmeticsurg.net for more info, she’ll be happy to help you. Thank you so much for your excellent information. I have two questions. Is it always necessary to manipulate the muscles? My problem is fat and extra skin from pregnancy, the muscles underneath are tight ( I do 50+ sit ups in a workout). If someone would want to use you as their surgeon, but live about 4 hours away, what do you recommend? Thanks for sharing your thoughts about tummy tuck recovery. I just had a tummy tuck two weeks ago and I have read so many articles on what to expect and how long things will take. I am grateful I ran across your page. I think Im doing pretty well but this standing up straight is so difficult to deal with. At this point Im not sure I would ever do this again but Im sure as I heal I’ll be grateful I did. I just wanted to say your article is one of the best I have read. The week by week info is very appreciative. Thank you! I have to say I have been very impressed with your blogs, comments and videos. Thank you very much. Could you tell me the cost of the pain pump? It could be a small recurrent umbilical hernia. You should check in with your surgeon. It may be of no consequence, but I would still check. Hi I had a tummy tuck a year ago but after 3 month I lift a crib with my dauther and had a bad pain in under the belly bottom so now when I do any king of bending or cleaning all day I get the pain for a couple of days what that could be? I see many people go home very early. I was in hospital for five nights, amd was pushed to cough a lot because I’m asthmatic. Now I read so many things about not straining. Here’s hoping nothing is wrong. The tummy tuck looked fantastic when I first saw it, but I couldnt wear the garment to start and now I am swollen and sore, but I will see nurse to check things. hope my Christmas present is good news! Just let everybody else know on social media so they can get info on our website! Excellent Informative Article! Dr. Rodriguez Thank you so much. Reading this made me feel so much better about my tummy tuck that I had 3 weeks ago. You’re Awesome! This is great advice! My friend recently had a tummy tuck and she tried going back to work after the first week, needless to say it did not go well. Thanks for sharing! I appreciate you reading our blog. However, I don’t know what your surgeon did or how he did it. The internet is a great source of information for general questions, but when it comes down to your specific case about a specific surgery with a specific surgeon, the best answer is with your surgeon. Call his office, and even if he does not answer directly, his nurse or assistant should be able to tell you what is most appropriate for his patients. IN GENERAL, 7 weeks should be OK assuming recovery has gone on perfectly. I had my tummy Tuck six weeks ago and I am planning to go to the hot-springs next weekend. It will be seven weeks after my surgery. I was wondering if this is OK. I appreciate your advice. I don’t, but I will work on one as many people ask for it. Hi Dr. Do u have a section blog that talks about compression garments after a tummy tuck and lipo procedure? Thanks! These types of questions you should be asking your surgeon. It probably is due to the muscle being sutured to get your tummy tightened.But ask your Doctor. Hi Dr. Rodriguez. I’m 7 days post op (tummy tuck) and I’ve noticed that my mid section hurts whenever I laugh. Is that normal? I know the area is still tender and all… I just think its way too painful. Could it be possible that something is internally wrong? Get on the phone first in the morning and DEMAND to be seen by your surgeon. It will need to be drained, and you will need to wear a compression garment. My 3rd week after tummy tuck, my stomach is filling up with more fluid. Is this normal or what will the dr. Do when I get to see him.m it wasn’tmlikemthis last week. Thanks for the compliments Renny! Thank you so much for this explanation. I am at 12 days post op. I’m sure that all the girls in the PS’s office told me everything I needed to know at some point after the surgery… but honestly, the pain meds and pain/poor sleep caused me not to remember it all in the correct order. Plus I hate to call the PS office frequently and bother the busy staff. Especially if its something they already told me. I don’t know enough about Cool sculpting. It is new. surgeons have to pay a lot for the device and the price is passed on to consumers. If it was that effective a lot of surgeons would pay the price, I just have not seen the excitement from my colleagues. Hi Dr. Rodriguez. What’s your opinion on cool sculpting? Am I better off just going through with the standard tummy tuck? Thanks! This is a question you are going to have to discuss with your surgeon when you go in for a consultation. From my experience, I do not recommend ANY procedure until the patient is fully committed. There are a couple of things you said that need comment. The surgeon who said your breasts don’t look bad purely made an observation. He would be happy to do your implants- we love to operate.Secondly, you can sleep on your tummy. A lot of my patients do. Hi Dr. Rodriguez. Would u honestly recommend Breast Augmentation to someone who was on the fence about getting BA? I’ve had 2 children and according to my last PS consult he said they didn’t look too bad…I’ve just read too many negatives about getting them. I’m also a “tummy sleeper” and heard it’s not a good idea once the impants are in! My sister told me that (who has implants and says she misses sleeping on her tummy). I’ve never really cared that much about having “huge” breasts either I just think more than anything, after I get my tummy tuck,it wold “complete the look”. It almost sounds like the there more negatives out weight the positives/benefits. What’s your opinion? Thanks! Thanks again Dr. Rodriguez for the recommendation! ;). Trained at Yale ahead of me. Very prominent in the American Society of Aesthetic Plastic Surgeons. More in the San Diego Area, but worth the trip. Tell him I sent you! Dr. Rodriguez can you please recommend any good plastic surgeons in the south Orange County, CA area? Actually, there is a lot of tissue plane adhesion that has to go on, as well as postoperative discomfort. Three weeks is at the shorter limit of recovery you will need. Dr. Rodriguez thank you very much for tummy tuck recovery article! I’m planning on getting a tummy tuck in the next couple of months and wasn’t exactly sure how much down time I needed. My PS said 2 weeks but I had no idea that driving shouldn’t be done during the first 3 wks post-op! I was only planning on taking 2 full wks off work but now I’m thinking I may take 3!